Q. Where can I find the full text of an article? Prefer to watch a video on the subject? Click here. 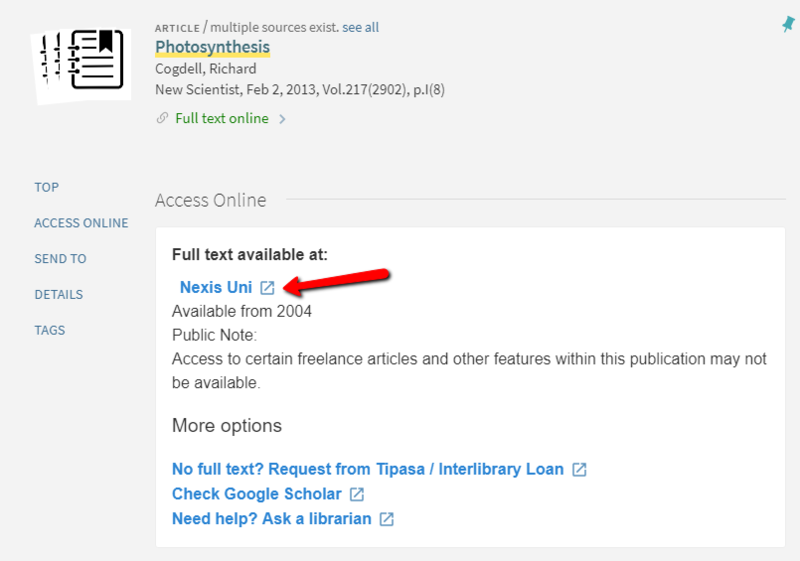 If you have a citation for a specific article, use the Catalog to see if the CU Libraries have a full text copy of the article online or in print. Type the exact article or journal title in quotation marks (e.g. "Journal of Science Education and Technology"). If the libraries do have the article or journal, you will see a screen similar to the following. 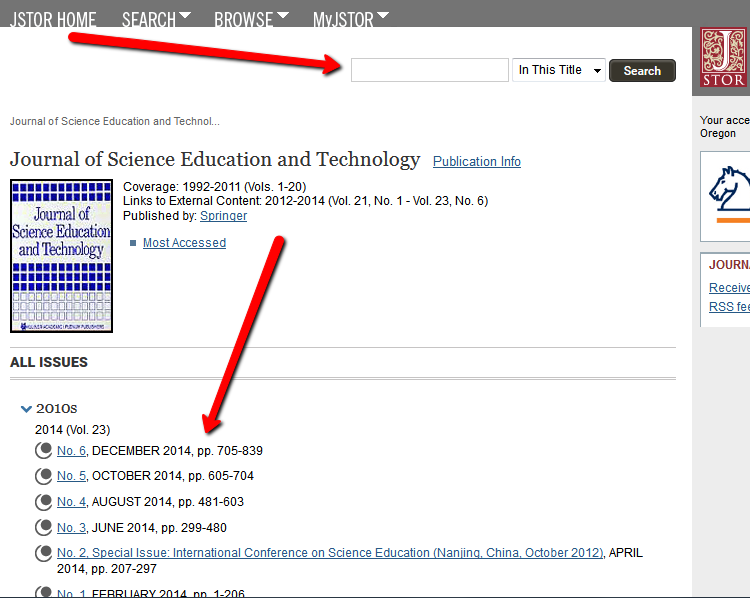 If you do not retrieve any results, you may request the article through interlibrary loan. Click the Full text online link to view the databases from which the article or journal is available. On the next screen, dates of full text availability show below the name of the database; choose the database that contains the date of your article. Once you have opened the database, you may choose to search within the publication for your article or you may click a year link to locate the issue in which the article was published. (Look for similar links in Gale or ProQuest databases.) Full text articles are available in either PDF or HTML (plain text) format. If the libraries have a print copy of the article/journal, you will see a catalog record like the one below. Click the "Available at Concordia..." link to view the date range of issues the libraries own. A dash after the date indicates the libraries have a current subscription to the journal and will indicate if the library is missing any specific issues. Print issues are located on the second floor of the GRW Library.